Toshiba Corporation has announced that it has delivered two battery energy storage systems to Kyushu Electric Power Co., Inc. in Japan. Both units are for a demonstration project to make renewable energy more practical. "The systems have been installed in substations on Tanegashima Island and Amamioshima Island, in Kagoshima prefecture, and will be used to demonstrate the integration and optimum control of battery energy storage systems deployed to manage frequency regulation and maintain stable power supply on remote islands, which are increasingly turning to renewable energy sources. The demonstration program will run for three years to fiscal 2016." "When large-scale renewable energy sources such as wind and photovoltaic are integrated into power grids on remote islands, power frequencies tends to fluctuate due to intermittent power outputs from the renewables. Toshiba's battery energy storage systems provide such islands with an excellent solution for efficient and effective frequency regulation." 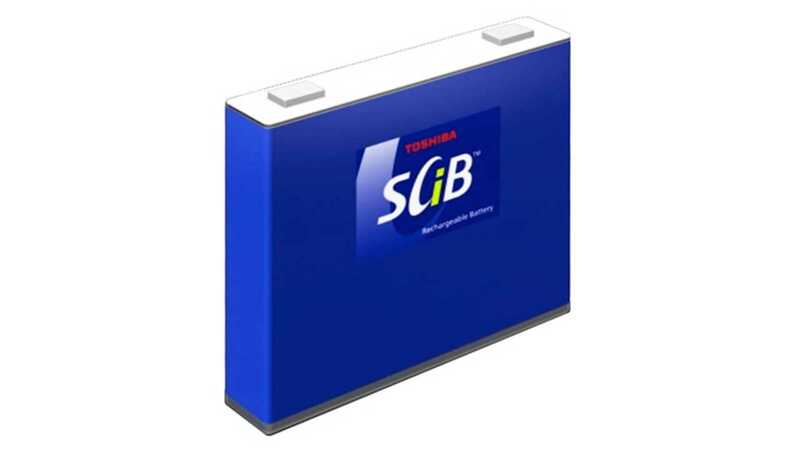 The Japanese company is using in energy storage applications its SCiB lithium-ion batteries, which are known from high durability (over 10,000 charge-discharge cycles) and quick charging capability (to 80% in 6 minutes). The same type of battery is used in Honda Fit EVs and in some versions of Mitsubishi i-MiEVs in Japan, as well as in some prototype vehicles. 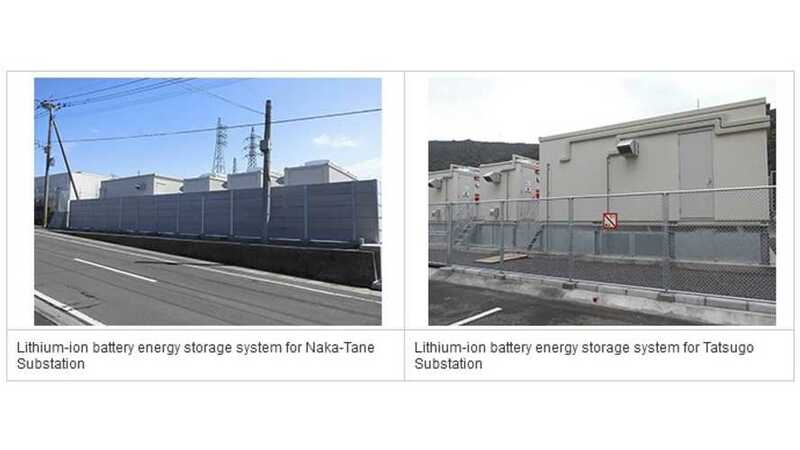 The latest energy storage systems installed by Toshiba have 3,000 kW of power and 1,161 kWh of energy in Tanegashima Island (equivalent to 60 Fit EV packs) and 2,000 kW and 774 kWh in Amamioshima Island (equivalent to 40 Fit EV packs). Toshiba is building such storage systems in other places in Japan and around the world (including Europe). One of the orders is for a 40 MW system, which is 10-fold larger than previously described. "Toshiba is promoting battery energy storage system globally as a support for stable power supply, and is involved in Smart Community projects around the world. In Japan, these include a renewable power supply project in Okinawa and a large-scale urban project serving homes and offices in Yokohama. Overseas, they include a collaborative on-site verification testing program with GAS NATURAL FENOSA, one of Spain's leading natural gas utilities, that uses a transportable battery energy storage system to achieve an efficient, reliable and stable distribution network*. 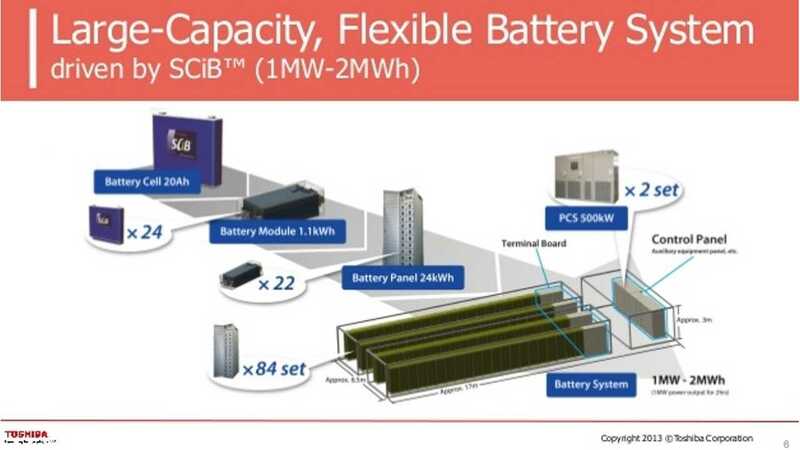 In commercial systems, Toshiba has received an order for the battery energy storage system from Rome-based ACEA Distribuzione S.p.A (Gruppo ACEA), one Italy's leading public utilities, and in Japan an order from Tohoku Electric Power Co., Inc. for a battery energy storage system with the output of 40MW, the world's highest class."